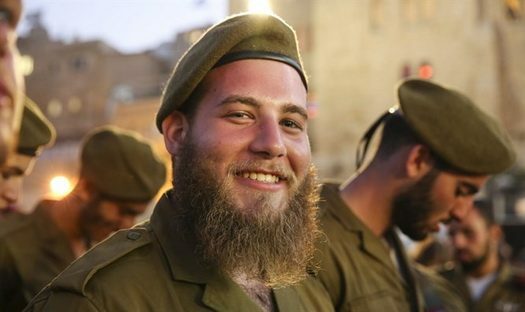 Arutz Sheva’s News Magazine told the story of Yosef (Yossi) Brikman, a warrior in the “Hetz” haredi company of the Paratrooper Brigade, who turned the personal and family tragedies he endured as a child in Brooklyn into strengths that he uses to counsel and assist haredi youths who wish to join the IDF. We met Yossi at a dinner organized by Los Angeles businessman David Hager, a founder of the haredi “Nahal” Brigade and the Netzach Yehuda battalion. Yossi’s story begins with his childhood in Brooklyn, as a son to loving and dedicated parents from the Chabad stream, who he says did everything in life with their children’s welfare in mind. He studied at Chabad schools whose entire curriculum revolved around religious studies. 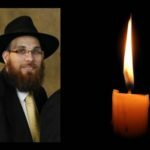 The first person to disturb his life was a babysitter – a young woman who took care of Yossi and his five siblings when the parents were at work. That babysitter treated the children in a strict manner but was all smiles when the parents were nearby. In addition, she did things that Yossi does not want to elaborate about, except to say that at age ten, he understood that something improper was going on in the interaction with the babysitter – things he kept secret about. It came time for Yossi’s Bar Mitzvah. Yossi and his parents were preparing the list of invitees when he broke down crying at the mention of the babysitter’s name. Yossi’s father realized something was wrong, but Yossi found it difficult to talk about the subject with him, and secretly decided to take the money he received for his Bar Mitzvah and use it for psychological counseling instead. Around that time, Yossi’s father was diagnosed with cancer and the responsibilities of taking care of the family began to fall on Yossi’s shoulders. Then Yossi’s Bar Mitzvah money ran out. One day, Yossi’s father came to the yeshiva where Yossi was studying. The father told him that the psychologist had come to him and asked him for the money he was owed, and that he had paid him. Yossi understood that from that point onward, he would have to be his own counselor. When he was 17, Yossi’s family came to Israel to visit relatives. 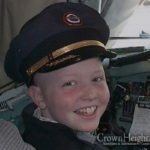 At that time, the doctors gave his father only 6 or 7 months to live. Operation Protective Edge was raging in Gaza. The family visited Hevron, where they met soldiers and spoke to them, and bought them cigarettes and pizzas. Yossi saw that they loved what they were doing, and that they received much satisfaction from their life-endangering mission. At age 18, Yossi decided to leave the yeshiva and adopt a secular lifestyle. He opened a business, which he sold after some time and decided to travel to Europe. First, though, he visited Israel again, where he met people who told him about haredi enlistment to the IDF. Yossi knew that he wanted to enlist into a combat role. While in Europe, he decided to become Torah observant once more. Yossi’s father passed away 2.5 years ago. When Yossi returned to Israel he heard about the “Hetz” haredi company in the Paratrooper Brigade, which makes it possible to live a religious life while serving in a fully operational and challenging combat unit. He enlisted into Hetz and he now feels that his military life only serves to strengthen his religious convictions, and gives fills him with intense personal satisfaction. 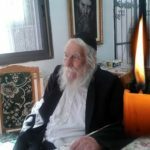 As a natural writer, Yossi tells his story on Facebook, in posts that are widely read and shared. Through the posts and the comments they receive, Yossi has formed connections with many other haredi youths who have been separated from their families for various reasons, without financial backing, and who yearn to find a new identity and path in life. Yossi converses with them, and through the story of his own rocky personal road, provides a personal example to them – as a person who joined the IDF while reclaiming his religious identity. I wish I could have done what he did at that age .. I always felt growing up that we don’t approve of so much of Israel. That we are different and don’t celebrate and mourn with them.. I didn’t like that .. But I kept doing what my parents said .. and that’s what my friends were doing.. I would have loved to be in the idf as well as go to college. Smiths was nice but I don’t feel happy that I didn’t have a choice .. I don’t use any of my year and a half Simcha information.. too bad ..
We have to ask the youth how they feel so we can make some changes .. Otherwise our youth will leave .. and far away because they are angry. Keep inspiring others! And may you find inner peace, clarity, and strength!! Wow! What an amazing journey! Chazak!!! Keep on making us all proud! I was with Yossi in yeshiva many years ago, you rock! Keep climbing keep going don’t look down, May Hashem give you inner peace and internal Joy.